I’ve never competed in a chili cook-off, but if I did, this is the contender I would bring to the ring. Since spying the recipe in an issue of Cooking Light years ago, it’s been a go-to for me and for Grant. I have to give him credit, as he’s taken the recipe on as his specialty – he really makes a mean pot of chili! And as much as I love to cook, there’s something extra-tasty about a home-cooked meal where somebody else does the home-cooking, am I right? I was surprised to see mixed reviews on the magazine’s recipe post (different strokes for different folks, I guess!) but it’s my all-time favorite and makes an appearance on our dinner table several times every year (that’s a lot for a variety-junkie like me). 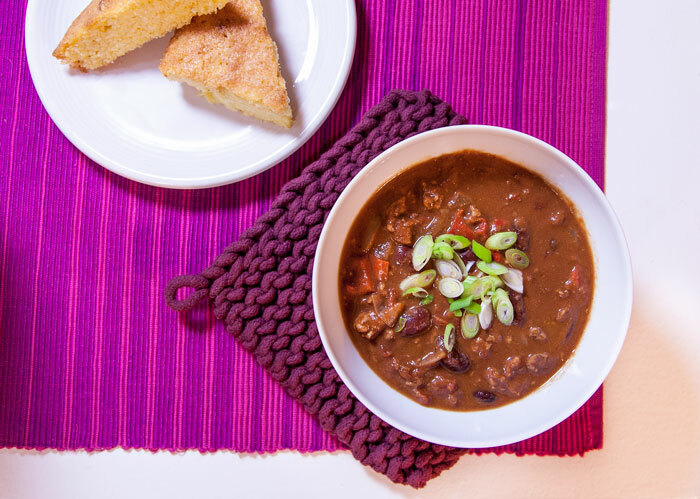 This chili has exceptional depth and richness from bitter unsweetened chocolate and smokin’ hot chipotle peppers. 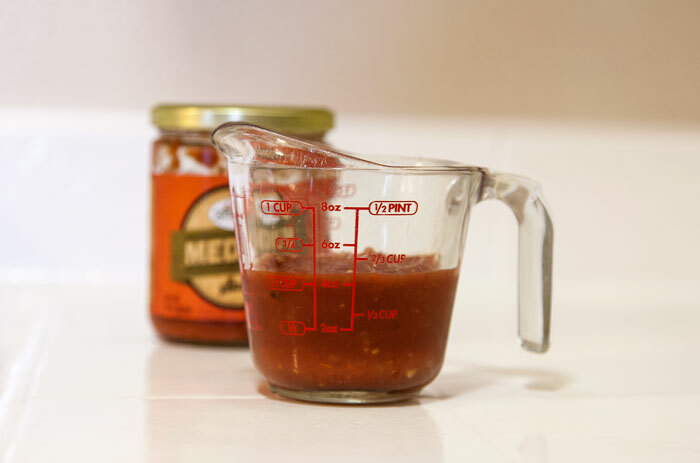 I make just a couple of tweaks from the original recipe: most notably, I cut back on the brown sugar (you could cut it out entirely, but I find that just a bit helps balance the heat and round out the tomato flavor) and I add a splash of vinegar at the end for brightness. I also prefer my chili with kidney beans over pintos, and usually only add a single can (but it can certainly accommodate another if you like it bean-ier). 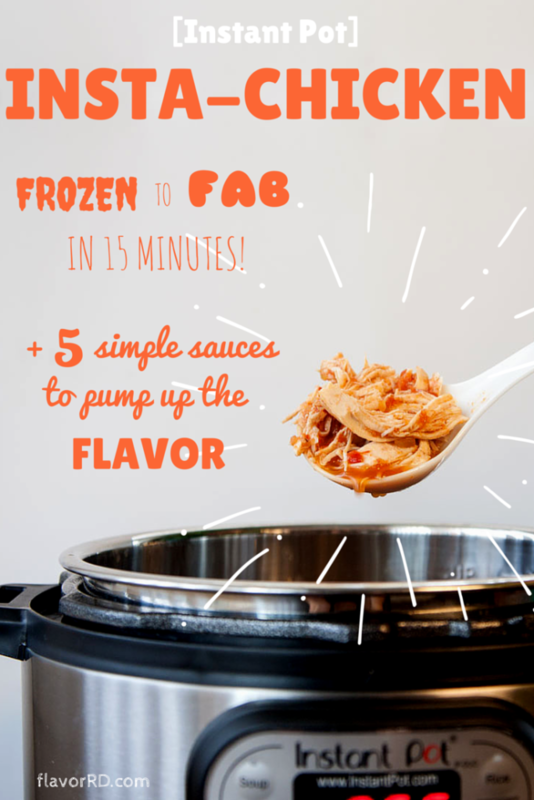 In the recipe below I’m sharing my adaptations and instructions for cooking under pressure (in my case, with Instant Pot). 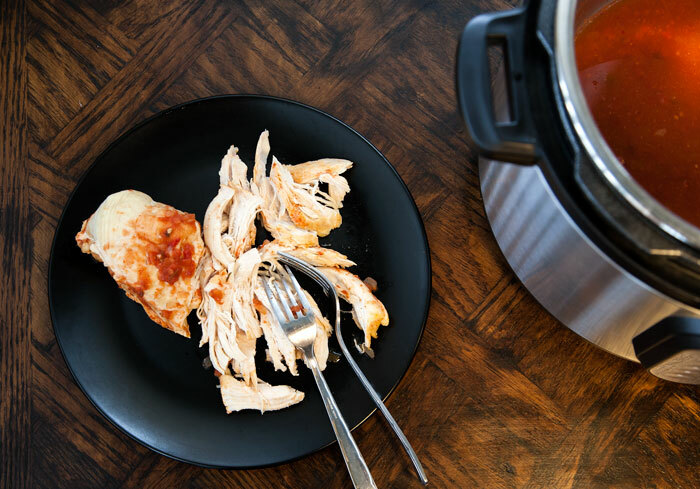 If you’re not on board with pressure cooking, no sweat – we’ve made it plenty of times on the stovetop in a dutch oven before embracing the energy-efficient and flavor-concentrating qualities of my favorite electric pressure cooker. 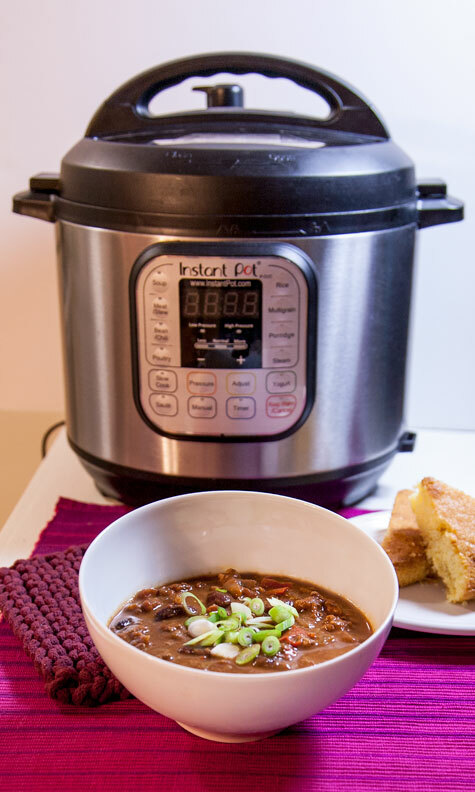 I believe Instant Pot’s “chili” mode is set at 30 minutes, but for this recipe I’m satisfied with a quicker cooking time of 10 minutes using manual mode. The beautiful thing about home cooking is that you can make it exactly how you like it – so cook it, tweak it, make it your own! Add the olive oil to the pressure cooker to cook over medium heat (press the 'Saute' button to begin cooking at medium saute heat). When the oil is hot, add the chopped onion, bell pepper, garlic and ground meat. If you like your chili very spicy, add the optional hot pepper (but be aware of the spiciness of your chili powder and chipotles). Saute, stirring occasionally, until the vegetables begin to soften and the meat is browned. Stir in all remaining ingredients except the chopped chocolate and vinegar. Cover the pressure cooker with the lid, and be sure that the valve is in sealed position. 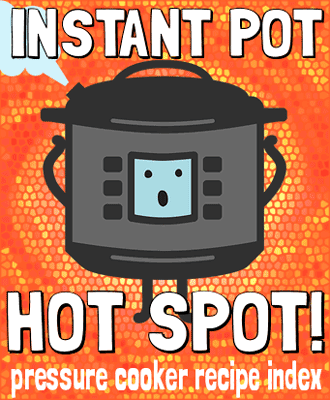 Cook under high pressure for 10 minutes (with Instant Pot, press ‘Cancel’ to stop saute mode before closing the lid, then press ‘Manual’ to select 10 minutes). When the cooking time is complete, either open the valve for a quick release, or allow the pot to de-pressurize naturally. After opening the lid, stir in the chocolate and vinegar, and season to taste with salt before serving and garnishing as desired. When most people think about pressure cooker recipes, they tend to conjure up images of stews, braises, and other sorts of steamy, stick-to-your-ribs one-pot meals that enjoy the spotlight in the colder months. 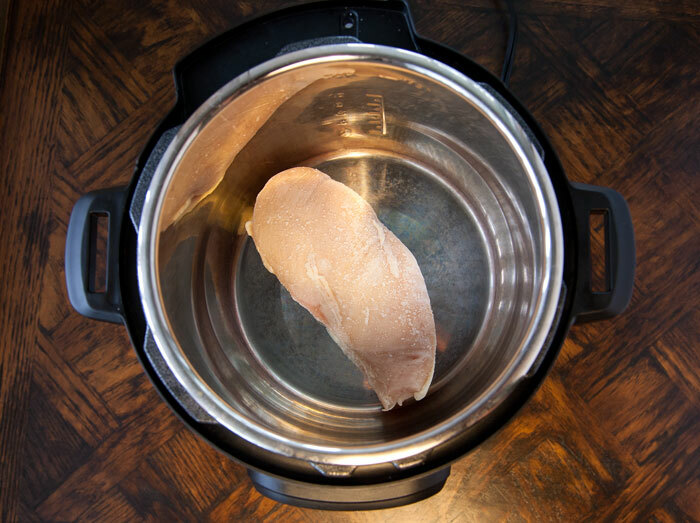 But don’t forget that an electric pressure cooker is also a valuable tool for summer cooking: because everything is self-contained, cooking under pressure doesn’t heat up the kitchen. 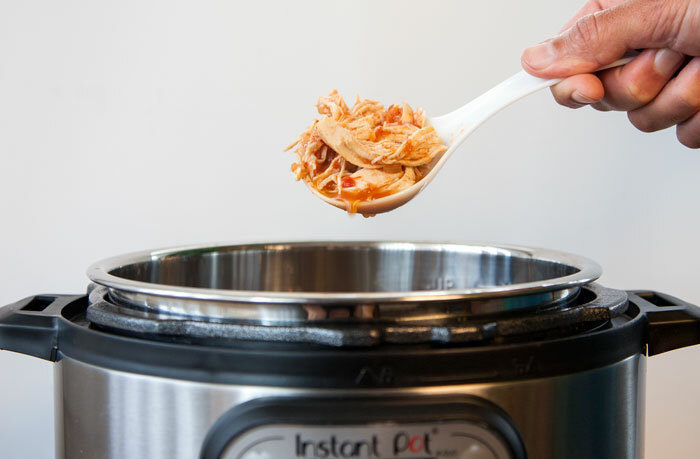 So don’t neglect your Instant Pot just because even the thought of your favorite soup recipe is making you sweat… think outside the box! It may sound crazy, but this week I used my pressure cooker to make salad. I only wish I had tried it sooner, because you’re looking at an instant summer staple. I think this was my first time eating wheat berries, and definitely my first time cooking them. These are the same kernels that they grind up to make whole-wheat flour, just kept intact and cooked thoroughly, resulting in a plump, chewy, flavorful grain, almost like a more robust short grain brown rice. 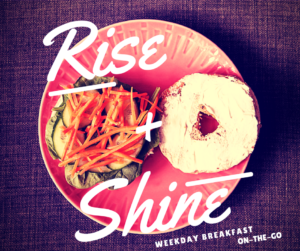 Because September is Whole Grains Month, the dietitian in me is compelled to take a moment to chat about the special benefits of intact whole grains. 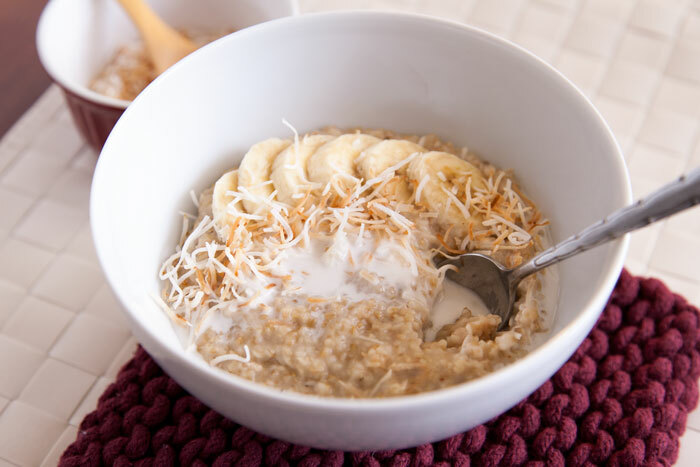 I’m talking about whole grains consumed in their least processed form: merely hulled of their fibrous husks, but with the bran, germ and endosperm all in their natural state (examples include wheat berries, brown/wild rice, quinoa, farro, millet, hulled barley, and buckwheat groats). You can think of these as the ‘gold standard’ of grainy goodness. While processed whole grains (like whole wheat flour) still have the same richness in nutrients (fiber, protein, B vitamins, a bit of healthy fat, and essential minerals like magnesium), intact whole grains have the perk of an extra-low glycemic index. 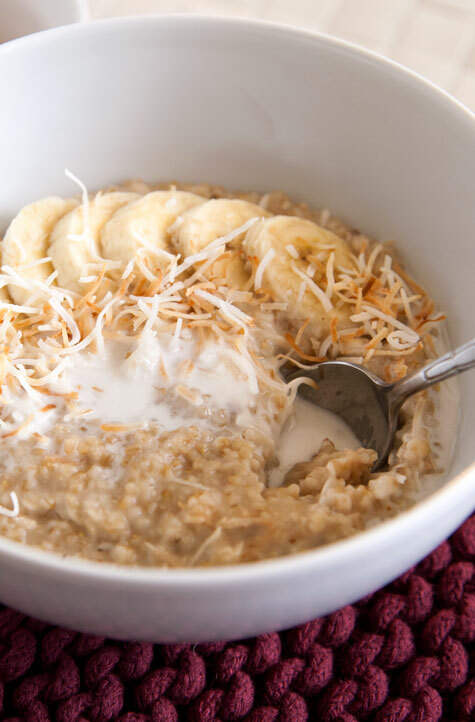 This ensures a slow digestion process, keeping you fuller longer and minimizing spikes in blood sugar that can contribute to chronic health problems. 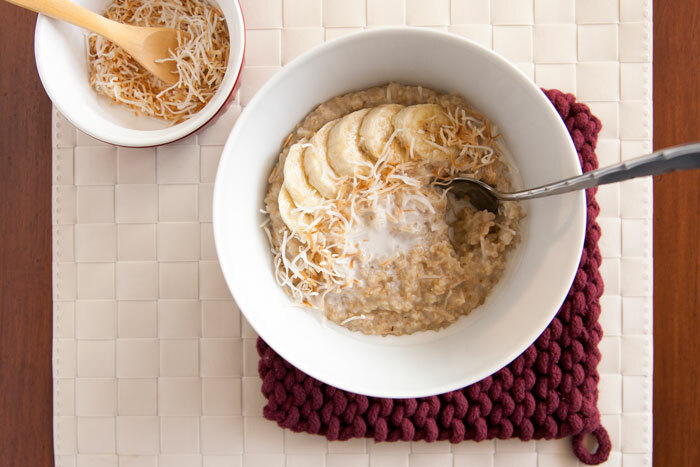 For more details, get a healthy dose of carb common sense from the Whole Grains Council. 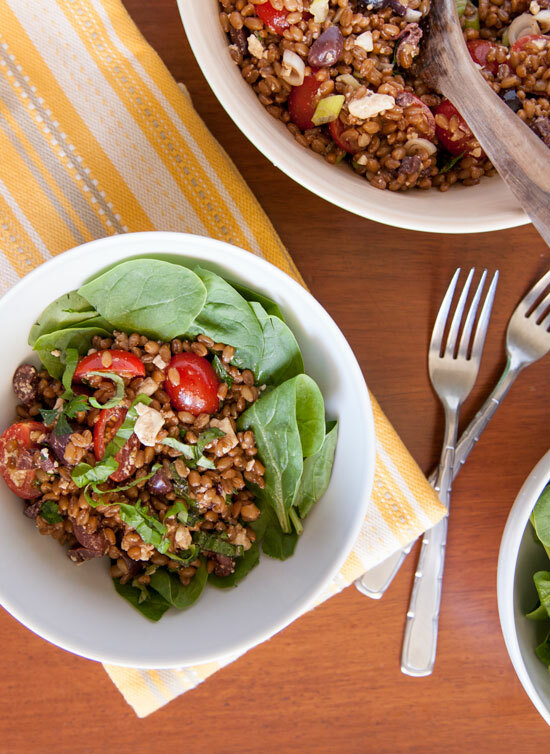 So, wheat berries have a lot going for them. 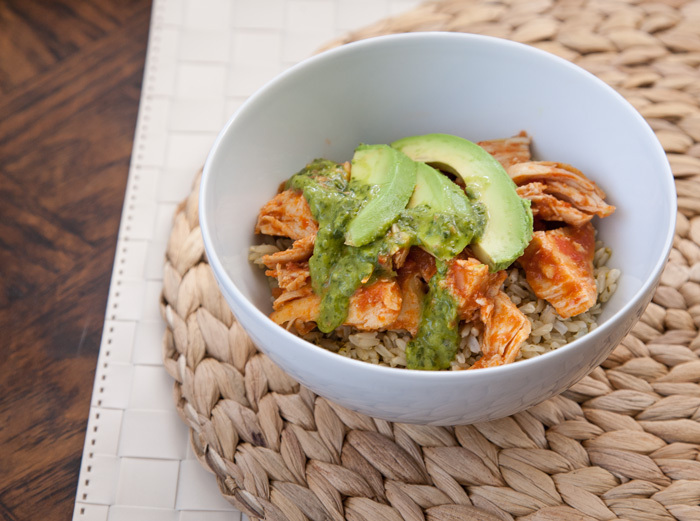 Now that I know how tasty they are, how super cheap they are in the bulk bins, and how easy they are to cook in the Instant Pot… I’m hooked! This recipe started with a craving for Smitten Kitchen’s feta salsa, which I’ve made a few times as a party appetizer. 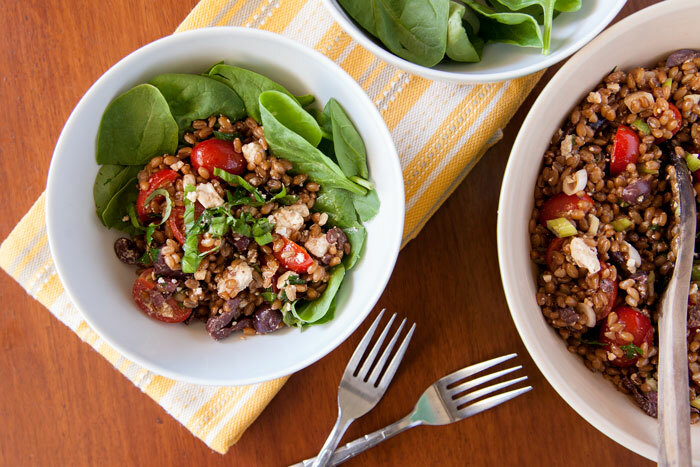 I knew the rich flavors would be well suited to bulking up with hearty whole grains, and I figured fresh tomatoes and a drizzle of my best balsamic would kick it up to the next level of juicy summer freshness. 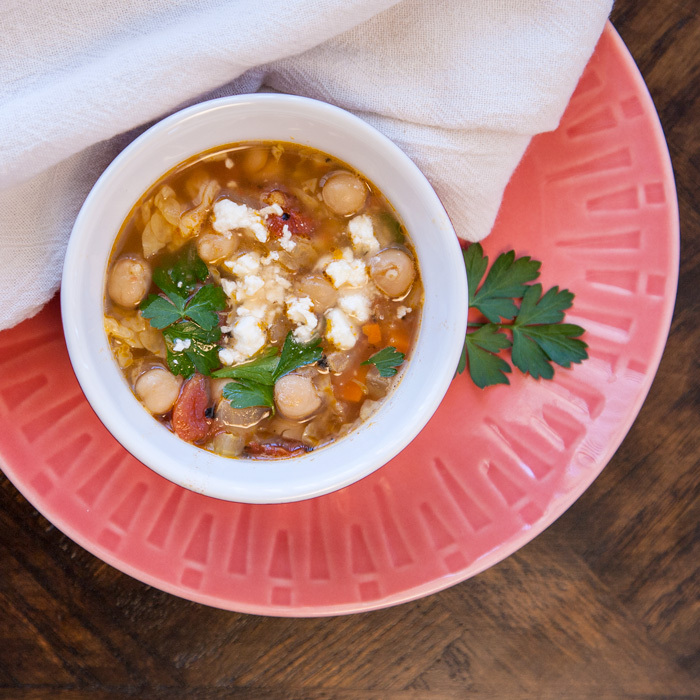 What was once an indulgent treat is now a balanced meal, with just enough fat and salt from the feta and kalamatas to keep things interesting. Just the way we like it around here! Begin by toasting the dry wheat berries to emphasize their nutty flavor: add the olive oil to the pressure cooker to cook over medium heat (press the 'Saute' button to begin cooking at medium saute heat). 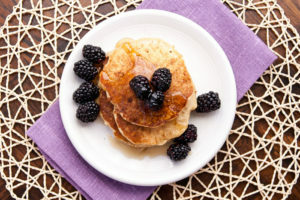 When the oil is hot, add the wheat berries and cook, stirring frequently. When the wheat berries are fragrant (after about 5 minutes) add the water and salt, then cook under high pressure for 30 minutes (press 'Cancel' to stop saute mode, then close the lid and press 'Manual' to select 30 minutes). When the cooking time is complete, allow 10 minutes for a natural pressure release before opening the valve and lid. 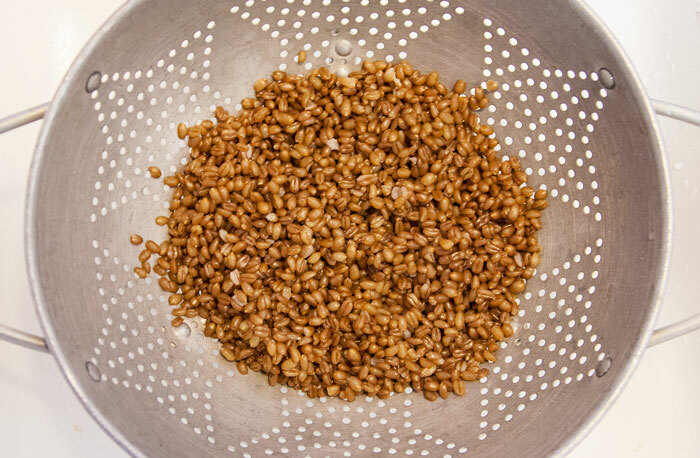 Drain the wheat berries in a colander and rinse with cold water to cool the grains. Transfer the wheat berries into a large bowl and toss with the remaining ingredients, seasoning with salt and pepper to taste. How much tradition do you like on your Thanksgiving table? Is it just not the same without your family heirloom recipes for turkey, stuffing and green bean casserole? Or do you prefer to flex your creative muscles and trick out your menu with fancy stuff like cranberry coulis or pumpkin panna cotta? Personally, I fall somewhere in the middle. Traditional flavors, but with enough twist to keep things interesting. Right at home on my holiday table? 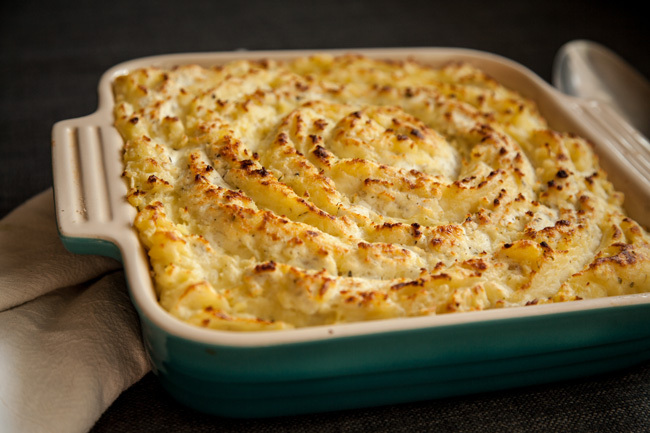 These dreamy Goat Cheese Mashed Potatoes. A funny thing happened on the way to writing this post. 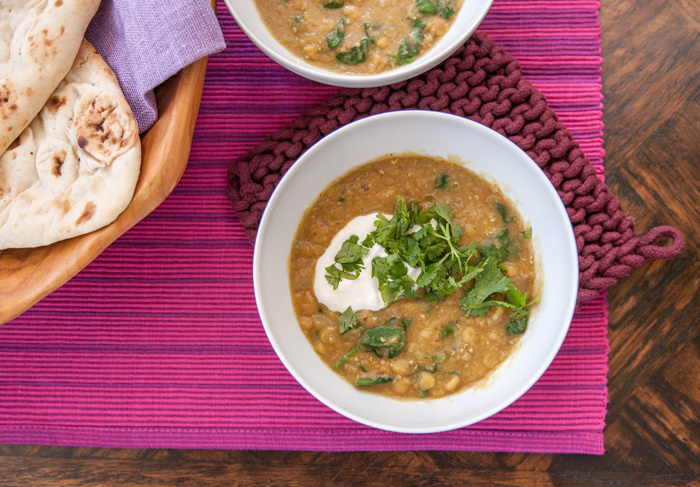 We’re only here talking about this soup today because two months ago on RD Day, I took the opportunity to scope out a list of fellow RD bloggers. 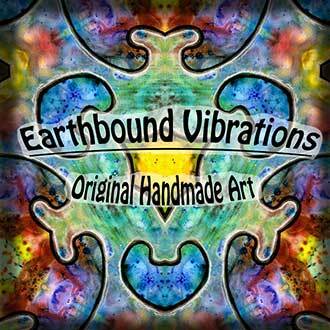 On one of the many links I clicked, I came across a giveaway raffle and entered on a whim. And out of the zillion entries, I actually won! 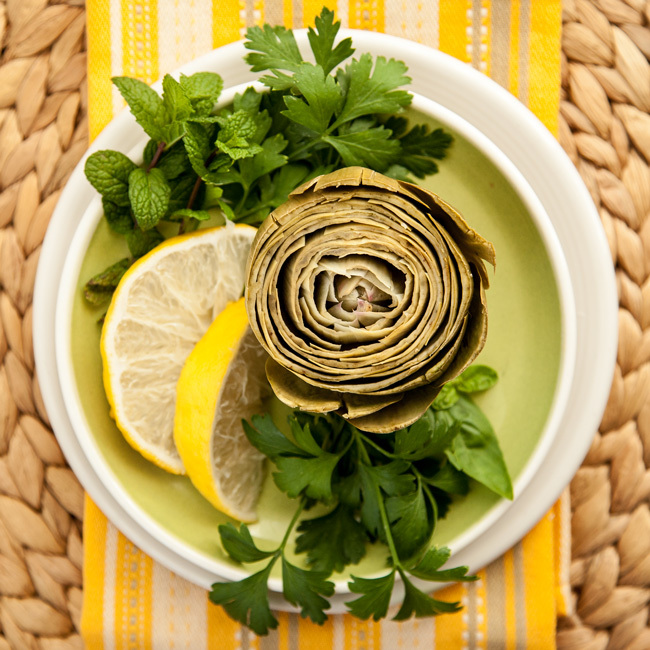 That day I gained an awesome new Mediterranean cookbook, and my first glimpse into what has become one of my new favorite RD blogs, Zen and Spice by the talented Emily Hein. This girl inspires me to live right! If you’re like me and love cooking/eating beautiful whole foods, growing some of them yourself, and generally taking a mindful and appreciative approach to it all, you should definitely check it out! The book that I won in the giveaway is Eating the Greek Way , by Dr. Fedon Alexander Lindberg. Emily mentioned that this is one of her favorite cookbooks, and I can totally see why. The book features gorgeous photos and recipes featuring the kind of simple but perfect food I can imagine being served up in Mediterranean kitchens on real life weeknights. And now in my kitchen too! On my weeknights! Life is grand. Cinco de Mayo is coming up – and while I don’t exactly have a vested interest in commemorating the military victories of our neighbors to the south, I will take any excuse to appreciate delicious Mexican food. 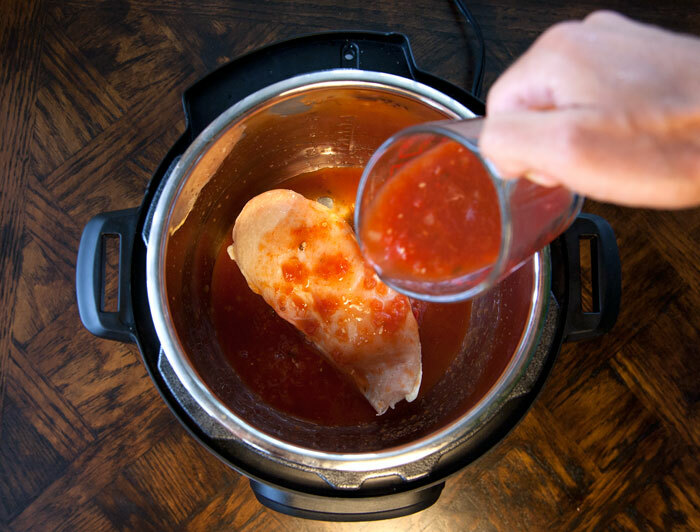 A while back, I read about a technique for pressure cooking tamales, and it caught my attention. It seemed like a fun/different way to take advantage of the pressure cooker, and I had been waiting for a reason to try it out. 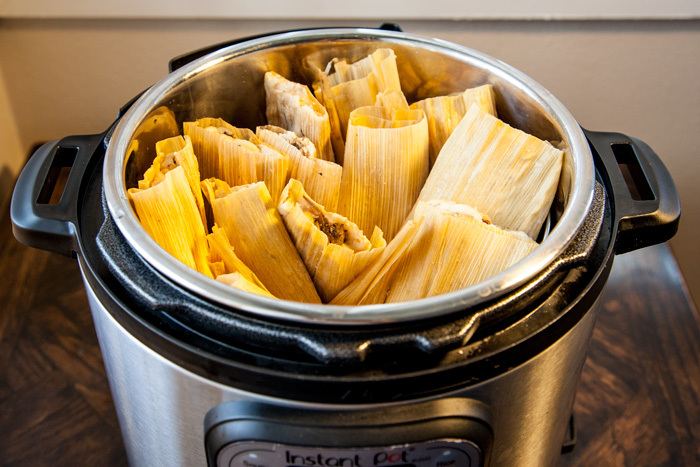 Basically… excuse to eat Mexican food + excuse to play with Instant Pot = TAMALE PARTY, AMIGOS. 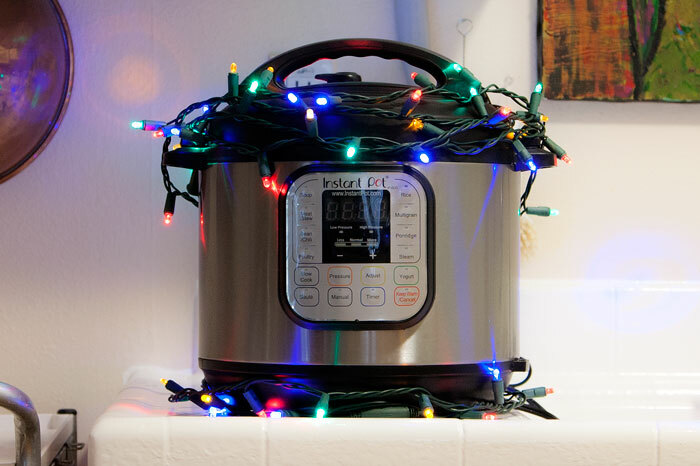 Author MaryPosted on April 30, 2014 February 18, 2018 Categories Dinner, Gluten Free, Instant Pot, IP Vegetarian, Meat Fish & Poultry Dinners, Recipes, Vegetables & Sides, Vegetarian DinnersTags [Instant Pot] Gluten Free, [Instant Pot] Vegetables & Sides, [Instant Pot] Vegetarian, corn, Instant Pot, Mexican, pressure cooking43 Comments on [Instant Pot] Tamale Party!